1.) An evergreen tree or pine tree. 2.) Wood cut from a softwood tree. Typically with wide and open grain. Photo thanks to Morguefile and duboix. 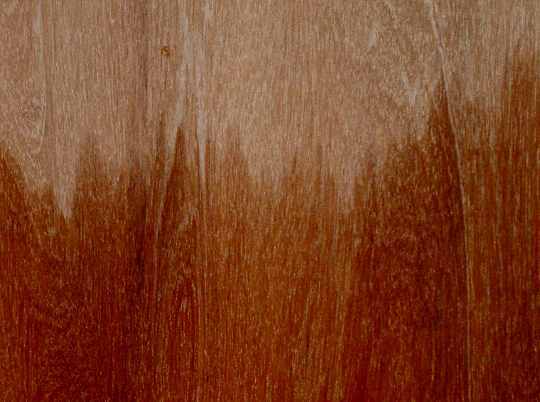 Hardwood is classified by the type of tree that it comes from, deciduous trees with broad leaves. A deciduous tree loses it leaves as winter approaches. It propagates by means of nuts. It is so called because for the most part it is hard. This is not true in every case and some quite soft woods are in this classification. For example Balsa wood. Usually though it is hard and dense with high strength ratings. Some of it is treasured for it's qualities in fine cabinetmaking and some for it's strength and wear resistance. The Teak shown above is a fine grained but slightly gritty tropical timber that is very durable. It was much used in boat building and structural work but now it is being conserved in the areas that it still exists. Softwood is grown in all climates, I live in the tropics and contrary to popular belief we have pine plantations growing not far from tropical rainforests. For the most part though it grows in temperate and colder climates. The trees are known as pine trees or because they use cones for propagation, conifers. The defining feature of softwood trees is that they are evergreens. That is they keep their leaves, (called needles) all year round..
Pine trees are a lot faster growing than hardwoods and as such they are much used in plantations to feed the needs of the construction and other industries. In general softwood is a lot weaker and less durable than hardwood. There are exceptions of course and certain of the pines are very resinous which is an aid in preserving the timber.